How did you fare in the Grand National? My ante-post triple didn't quite come off. 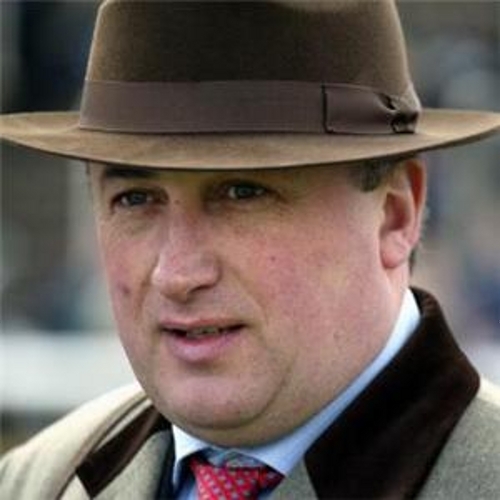 However, I had a 'feeling' in the turf accountants and put a last-minute wager on the eventual winner, the Paul Nicholls-trained (below) grey Neptune Collonges. It made for quite an exciting finish. And riveting to watch all the tweed, the covert coats and the brown trilby hats on the TV for the three hours of coverage. It's the Epsom Derby next, then Royal Ascot, when flat caps and trilby hats are exchanged for top hats. No doubt you'll be dusting off your topper for Royal Ascot in June. They've just released the dress rules for this year's event. It makes interesting reading. There has been talk of Ascot letting dress standards slip, and Glorious Goodwood quietly becoming the best-dressed horse event. Judging by the instructions this year, there doesn't appear to be any loosening up from Ascot. No doubt you'll be heading for the Royal Enclosure, so I'll re-produce the rules for gentlemen here. The customisation of top hats [with, for example, coloured ribbons or bands] is not permitted in the Royal Enclosure. 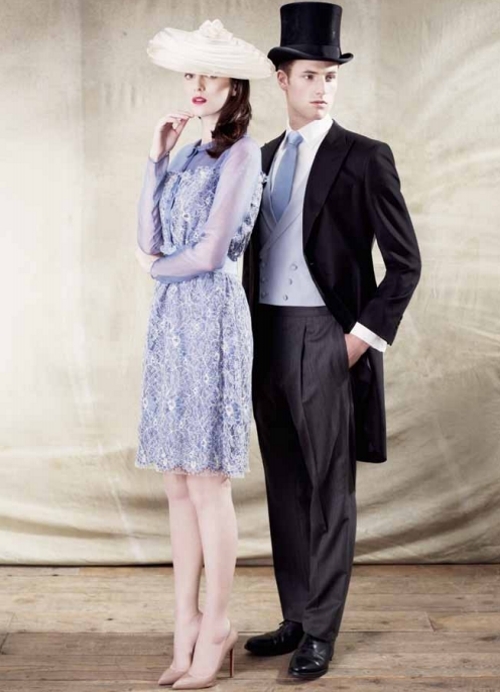 Ascot provides examples of acceptable dress in a style guide. Taken from the style guide, the model above wears a Morning suit by Gieves and Hawkes, shoes by Crockett and Jones and hat from Bates Hatter. Thinking ahead at The Tweed Pig, we've investigated where to park your top hat in-between weddings and Ascots. Patey Hats might have the solution. Patey are now part of the Kashket Group of ceremonial and military tailors, hat makers and medalists. The oldest part of the group, Firmin and Sons, who manufacture and supply military buttons, badges and insignia, dates back to 1655. Kashket and Partners are tailors-in-residence at Sandhurst Royal Military Academy. 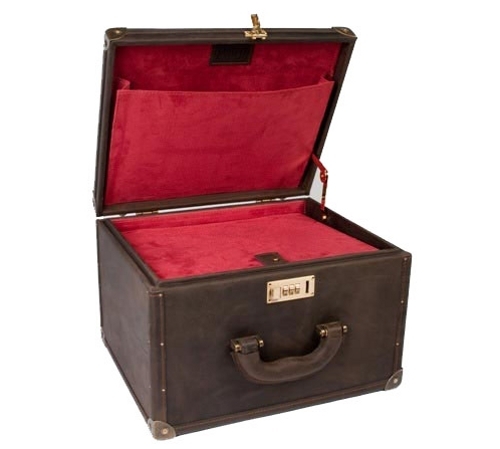 Patey's Leather Top Hat Case has a wooden frame construction, covered in leather externally with a suede interior available in three colours. Tweedy's Thought: Interesting collection of companies in the Kashket Group, with an incredible history. I'll send young Mrs Tweed on a recce for more intelligence. 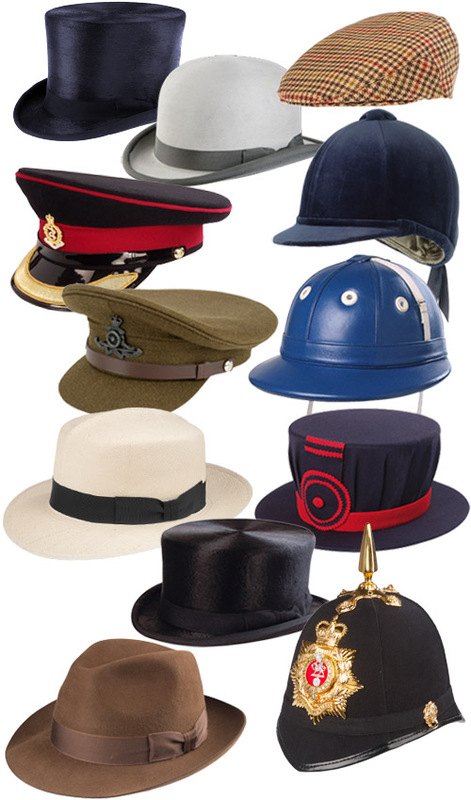 As part of our occasional Olympics coverage, we can tell you that Patey is the official supplier of top hats and hunt caps to the Senior British Eventing & Dressage Teams.